Robert Parry, the editor of Consortium News, broke many of the Iran-Contra stories for the Associated Press and Newsweek in the 1980s and is not resting on his laurels, rather, he may be doing some of his most important work right now, debunking the mainstream media’s bipartisan neoconservative agenda and doing his best to prevent World War III and the ensuing Armageddon. Although his political leanings seem decidedly leftist he is not at all blinded by the blatant hypocrisy of Clinton-Obama Democrats in their efforts to orchestrate a coup against the administration of Donald J. Trump nor does he seem frightened by the Deep State vendetta against him and against those who share both his views and his courage. On September 13 he published another exposé on the hypocrisy inherent in the purported investigation of alleged Russian intervention in the 2016 presidential campaign (all the jurors will apparently be kangaroos should anything come to trial. 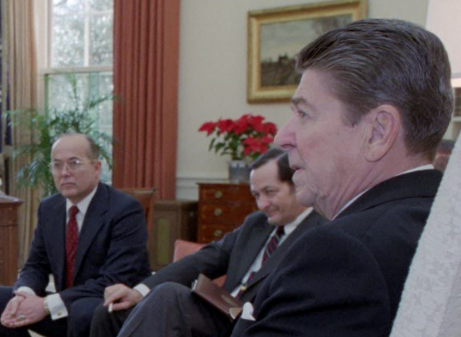 The article, Reagan Documents Shed Light on U.S. ‘Meddling’ juxtaposes current hysteria with the standards for international political conduct established by the United States during the past half century inviting our own conclusions. Apparently, “purported” interference targeting the Romney campaign in 2012 is not problematic; one wonders why. As always, meticulously written, researched and accompanied by all too rational analysis (given today’s mainstream media’s standards), the article places the present in historical context permitting extrapolation into the future; one that given the information Mr. Parry regularly provides us we may still be in a position to influence in the direction of world peace and domestic tranquility, if not quite towards attaining equity. This installment of Parry’s continuing missive harkens back to the good old Wild West days of the Reagan presidency describing how our government bravely dealt with the challenges inherent in being caught in just too many geopolitical scandals, and how it bravely and successfully dealt with the impediments posed. Ahhh, … for those simpler days of yore when masked men with trusty Indian (errr, indigenous) companions and guns loaded with silver bullets (apparently in the event vampires were encountered) patrolled the world to make it safe for, …. Errrr, “democracy”, that’s right, democracy, … neoliberal style. The year was way back in the last millennium, 1982, …. The Central Intelligence Agency (CIA) was discredited and thus in need of new sheep’s clothing. There were plenty of turncoat sheep but someone or something had to monitor them, had to keep them on their toes and cull them if need be (it’s for the good of the herd you understand, errr, I mean the “flock”). Indeed, in order to camouflage the “sheep” and especially their relationship to the CIA, I mean the “Company”, it was essential that they wear dark sunglasses and perhaps dress in local clothing and never, never, bleat in English. NGO’s they were called in Company lexicon, “Not Great Operatives” but for the nonce, they had to do. 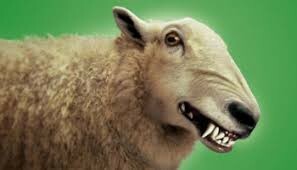 Enter sheep-master Ned (more accurate title than shepherd; think “National Endowment for Democracy), tasked with appearing to promote democracy while carefully keeping democratic trends in check. Verisimilitude was OK but real democracy? Well, come one. If we don’t have it at home how can we tolerate it anywhere else? You may recall the “Sheepmyster” (Ned prefers that moniker now) and his recent adventures in the Ukraine. Of course, the Sheepmyster had a keeper, good old Walter Raymond Jr., not exactly a cowboy name but man was he a cowboy. And his stable hands were certainly not limited to Ned, no siree, not by a longshot. “Public diplomacy,” “psychological operations,” and “political action” were his games but certainly not their names. “Propaganda” and “disinformation”, worked from the Big House’s shadows, naw, that had a bit too much pizazz for the common folk! Was that Ollie in the shadows? Wow, damned if it wasn’t! Yep, good ole Ray managed things just fine, his holster fixed not only with big ole guns but also a handy, dandy set of “top secret” stamps, and, stamp away he did. Well, better not give away the whole article or you won’t read it, or if you do, you won’t enjoy it, or at least, you won’t enjoy it as much. For those who like thrillers and spy novels and mysteries and conspiracies too weird and far-fetched to be fiction, you’ve got to read this Robert Parry article and then chuckle or smirk or cry over the Russiagate allegations and investigations and distortions (both creative and fanciful) being spouted by our concerned and frowning political and media leaders. I was going to use an analogy to used car dealers but that would have been terribly unfair to the latter. Guillermo Calvo Mahé (a sometime poet) is a writer, political commentator and academic currently residing in the Republic of Colombia although he has primarily lived in the United States of America (of which he is a citizen). Until recently he chaired the political science, government and international relations programs at the Universidad Autónoma de Manizales. He has academic degrees in political science (the Citadel), law (St. John’s University), international legal studies (New York University) and translation studies (the University of Florida’s Center for Latin American Studies). He can be contacted at wacalvo3@autonoma.edu.co or guillermo.calvo.mahe@gmail.com and much of his writing is available through his blog at www.guillermocalvo.com.